For use in high frequency rectification and freewheeling application in switching mode converters and inverters for consumer, computer, and telecommunication. 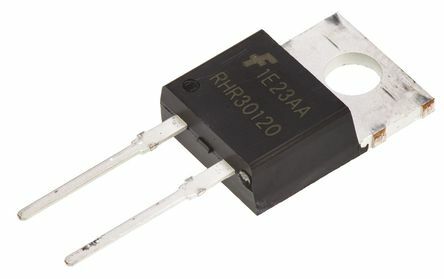 RHRP30120 is a hyperfast diode with soft recovery characteristics. 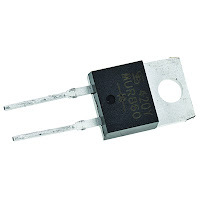 It has the half recovery time of ultrafast diodes and is silicon nitride passivated ionimplanted epitaxial planar construction. These devices are intended to be used as freewheeling/ clamping diodes and diodes in a variety of switching power supplies and other power switching applications. 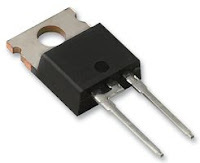 Their low stored charge and hyperfast soft recovery minimize ringing and electrical noise in many power switching circuits reducing power loss in the switching transistors.